This post has been compensated by DOÑA MARÍA® Mole. The recipe and all opinions are mine alone. 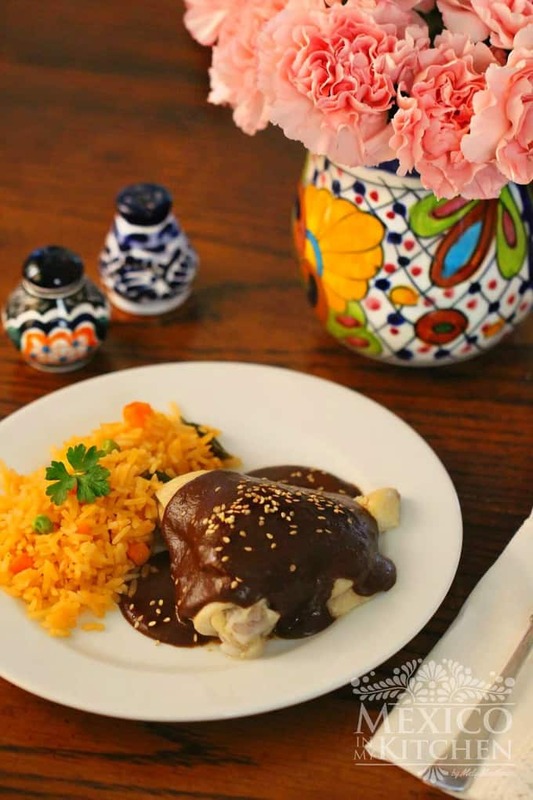 DOÑA MARÍA® Mole is a staple found in many Mexican kitchens, and for generations has been the easy way to fix a delicious mole in a matter of minutes. 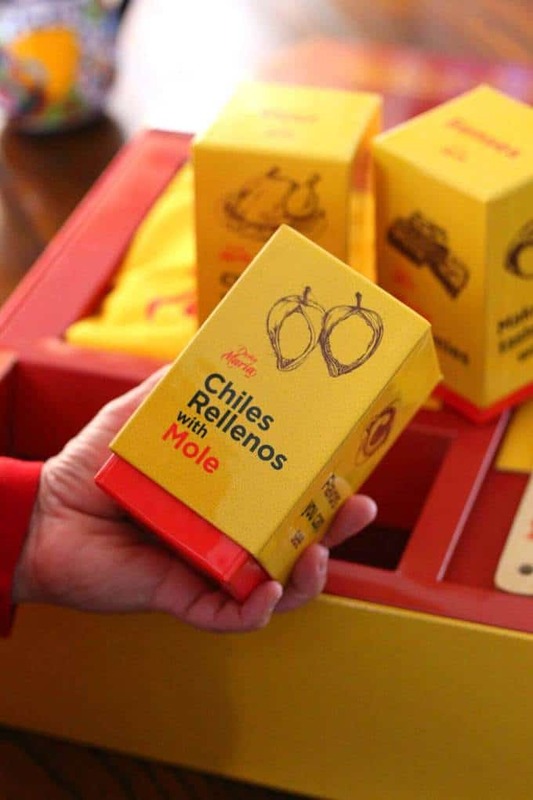 This was not an exception in my house when I was growing up, and up until today, my mother still prefers to use DOÑA MARÍA® Mole when making mole to celebrate my siblings’ birthdays. Of course, she enhances the mole paste by adding some extra ingredients, which is something many home cooks do to add their own touch to this dish. Over the years, I have received many emails from you regarding how to make mole using ready-made mole pastes. 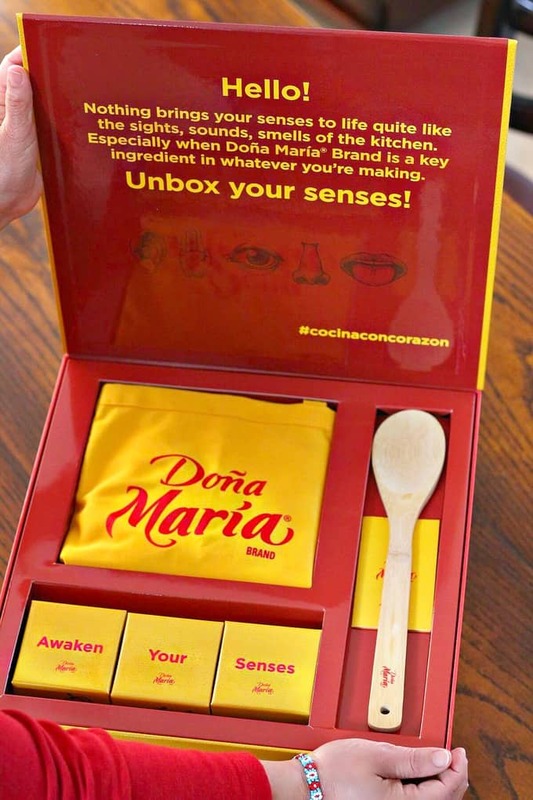 Some people ask specifically about making mole using the DOÑA MARÍA® paste, so I was very excited when I was asked to write about it in a blog post. As many of you know, I love Mole Poblano, and cooking it from scratch is one of my passions. Unfortunately, many people (including myself) do not always have the time to prepare such an elaborate dish, and using a pre-made mole paste is your best option for making mole without all the hassle. I guess this is why my mother has used DOÑA MARÍA® Mole all these years, as raising a family with 8 children leaves little time for cooking complicated dishes. 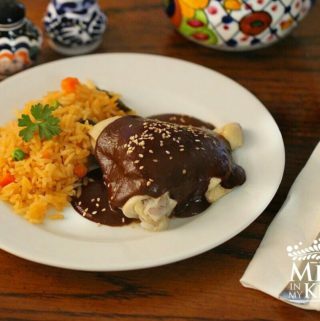 Doña María Mole is a favorite in many homes for special occasions. 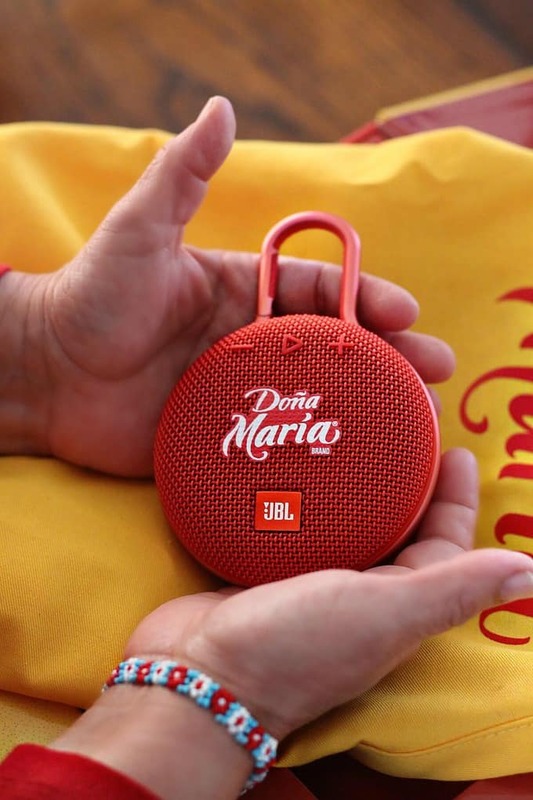 With DOÑA MARÍA® Mole, making mole is easy and accessible. The instructions only call for diluting the paste in a good chicken broth, but as I mentioned above, most people like to add their own ingredients and spices to further enhance the flavors. Some of the ingredients people add to the mole include peanut butter, toasted tortillas, saltine or animal crackers, toasted bread, chipotle peppers, sugar (my mom adds this), and peanuts. These are just some of the most common additions. Some cooks will roast or fry the ingredients, but I prefer to boil them, as you will see in the recipe below. Cooking Mole really awakens your senses, and it’s a unique experience to see all the flavors, aromas, and textures come together to create a delicious dish. I hope you enjoy this recipe as much as we like it in our home, and don’t forget to play some music while you’re cooking it! If you follow me on Instagram, you know how much I like to play music in the kitchen to add rhythm to my meals. If you like your Mole on the sweeter side, you can add one more quarter of the Chocolate tablet to your sauce. If you don’t have tortillas, use 1 slice of toasted bread, or 4 saltine crackers. 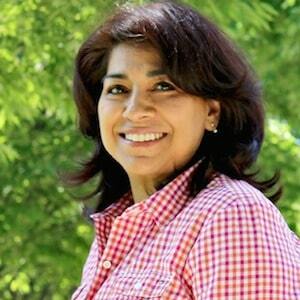 DOÑA MARÍA® Mole is not a spicy sauce, but if you like to spice things up, add one chipotle pepper in adobo. Rinse it beforehand to remove the vinegar flavor, then add it to the blender with the cooked tomatoes. The lid on the jar of DOÑA MARÍA® Mole is quite easy to take off, but if you’re having trouble you can remove it using a bottle opener. Place the chicken pieces in a stockpot with the garlic, onion, celery stick (cut into 2-3 pieces), and parsley (or cilantro). Cover with water. Place the pot over medium-high heat, and once it comes to a boil, reduce the heat and simmer for 35-45 minutes until the chicken meat is cooked and tender. Season with salt and set aside. This chicken broth is what we will use to dilute the Mole paste. While the chicken is cooking, place the tomato, onion, and garlic in a saucepan. Cover with water and turn the heat to medium-high. Once it comes to a rolling boil, reduce the heat and cook for 8 minutes or until the tomatoes are cooked. 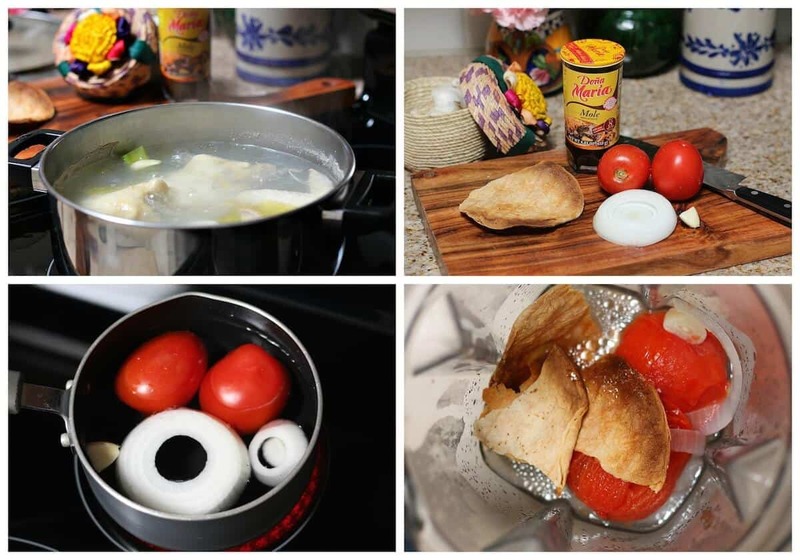 Once the tomatoes are cooked, drain the water and place the tomatoes, onion, garlic, and the toasted tortilla in your blender. Process until you have a fine sauce, then set aside. Place a large frying pan over low heat and add the jar of DOÑA MARÍA® Mole and a cup of the chicken broth to start diluting the paste. Add one more cup of the broth along with the tomato sauce, chocolate, ground cinnamon, and ground anise seed. Stir well until the Mole paste has completely dissolved. Add more broth as needed, since the paste will get thicker as it continues cooking. Some people like their sauce thicker than others, regulate the amount of chicken broth used in order to achieve the thickness you like. 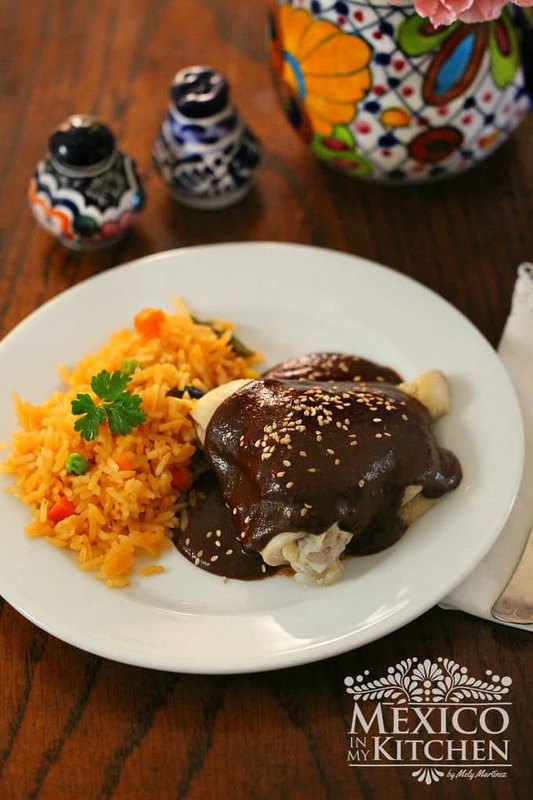 Traditional Mole sauce has the consistency of a thick gravy. Add the chicken pieces to the sauce, season with salt, and slowly simmer for about 5 more minutes. Serve with rice and warm corn tortillas. Enjoy! Check the recipe for the Traditional Mexican Red Rice! DOÑA MARÍA® Mole is a staple found in many Mexican kitchens, and for generations has been an easy way to fix a delicious mole in a matter of minutes. My husband grew up on Doña María. I use their paste about every third time I make molé. I am wondering why our stores only sell it in a cardboard coated box similar to a milk carton. I am running low on glasses! What Mexican doesn’t have at least three Doña María glasses?! Also wondering where I might get one of those boxes. It would make a good hosewarming gift. Great idea about getting that box as a house warming gift. What is your recipe for rice as a side dish? I cannot find any that are like the rice in our Mexican restaurants. Here is the recipe for the Mexican Red Rice. Thanks for sharing, my family loved it! Where did you get that gift box? Wow, Thank you for sharing this recipe. I always wondered how to prepare the mole paste. It will be great a Mole with large diced potatoes or eggplant. If you make it let me know. Happy cooking! I used to wonder how my mom made the mole form the glass, now thanks to you, I can make it for my family. Thank you!